Harry Sidhu understands how important it is to have a dream and to see it come true. He received his bachelors degree in electronics engineering and spent five years in Silicon Valley as an engineer but he knew his true calling was to help others achieve their goals and make their hopes of owning a business a reality. Currently the President of Mission Peak Brokers, Inc. in Fremont, California, and a Certified Business Broker, Harry is the leading broker and commercial property investment adviser for some of the most prosperous and successful small businesses in the Bay Area and throughout Northern California. His sound advice and expertise in negotiating and creative financing have helped many people become thriving business owners. Successfully brokering deals for liquor stores, smoke shops, gas stations, convenience stores, motels, restaurants and bars, Harry can proudly affirm he has helped many people fulfill their wish to own a business and continues to assist in brokering business ventures in all of Northern California and in all Bay Area cities and towns. Besides the praise he receives from his satisfied clients, Harry's success has been recognized by Remax of California and Hawaii for the most commercial real estate transactions throughout California in 2005, and Remax Tri-Valley awarded him top producer honors in both 2005 and 2006. Since entering the brokerage business, Harry has been one of the Bay Areas top sellers and anticipates progressive sales in coming years. Harmit S. Toor is Real Estate Broker Associate & has been in same line for the past decade, specializing in residential, residential income, commercial, land, lots, business opportunities, foreclosures, short sales, first-time buyers and investors. He currently serves as Branch Manager with Mission Peak Brokers, Inc., based in Fremont, Calif. Toor previously worked as a Realtor & Loan officer for RE/MAX Real Estate Center, in Tracy, Calif. He has also worked as an Engineering Manager for several California-based companies, and earned a Bachelor of Science in Electrical Engineering (BSEE) degree, with an emphasis in Electronics from Bangalore University in India. I will help you to buy REO, Bank Owned, Foreclosed and short sale homes. Choosing the right agent makes all the difference in the world. Call Me @ 925.202.7027. Raj Paul Singh, MA. MED. "OUR EXPERIENCE, YOUR ADVANTAGE. MEET AS A CLIENT, LEAVE AS A FRIEND." My mission is not only to instill trust with clients through impeccable integrity,considerable understanding of the latest market trend,but most importantly to exceed clients expectations through value aided and expertise services. Through latest top-level coaching,advance education,training and accountability I have launched my first book in U.S.A in punjabi medium namely "Amrica Vich Ghar Te Jaydad Di Kharido Farokhat". My progressive and proven experience,turnkey solution and really utmost specialized services can help you in making timely and accurate decisions and make your life a little more enjoyable and charming. 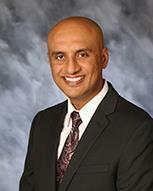 My name is Manjit Singh, A licensed Real Estate Agent. I specialize in selling Single Family Homes, Multi Family Units,Restaurants, Liquor Stores and other business opportunities. I have several buyers who are looking for business and real estate in Northern California. Call me today to discuss the best way to sell your business or property at a price set to your satisfaction.